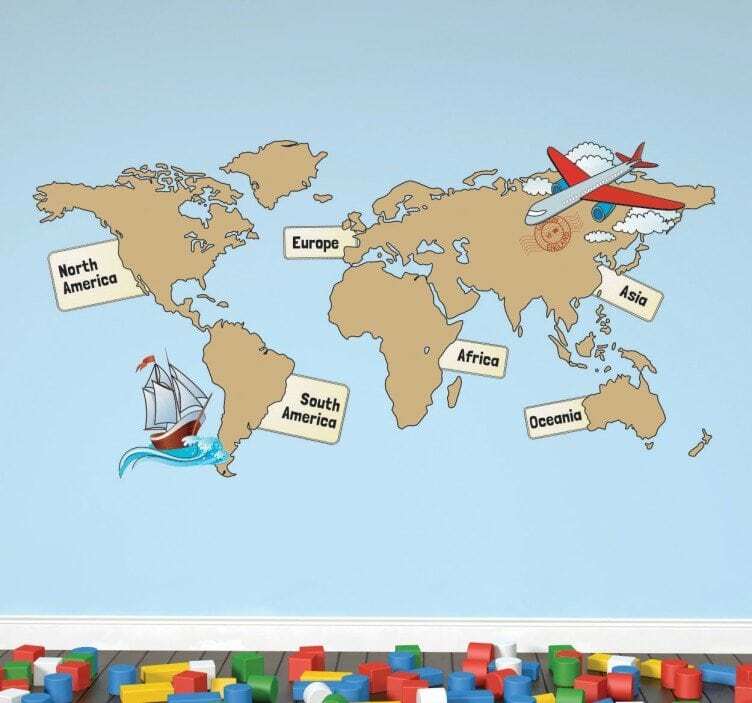 Wall stickers are a brilliant way to brighten any child’s room without spending a fortune. Children grow up so quickly and their obsessions and interests change with them. However, redecorating a bedroom every few years is simply not practical or affordable for most parents. 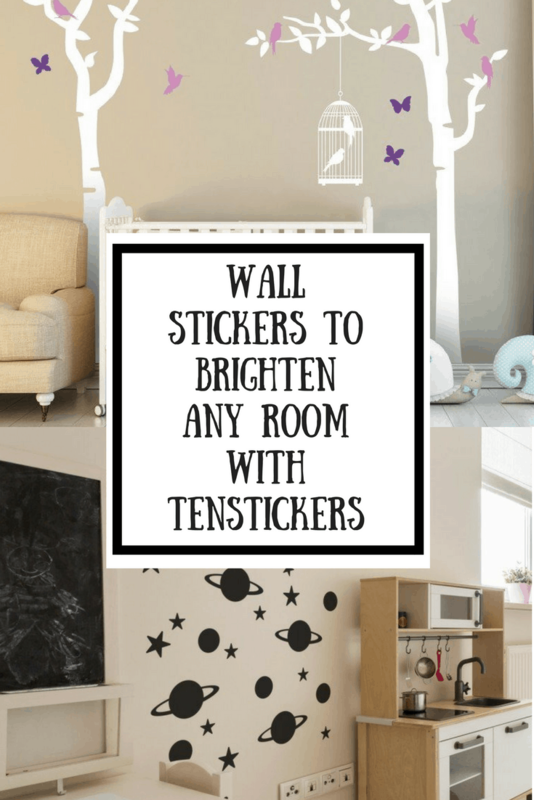 That’s why we have used wall stickers as a brilliant way to make both Biggest and Littlest’s rooms engaging and unusual without breaking the bank. Littlest’s room was designed just over a year ago and will last for a little while yet. 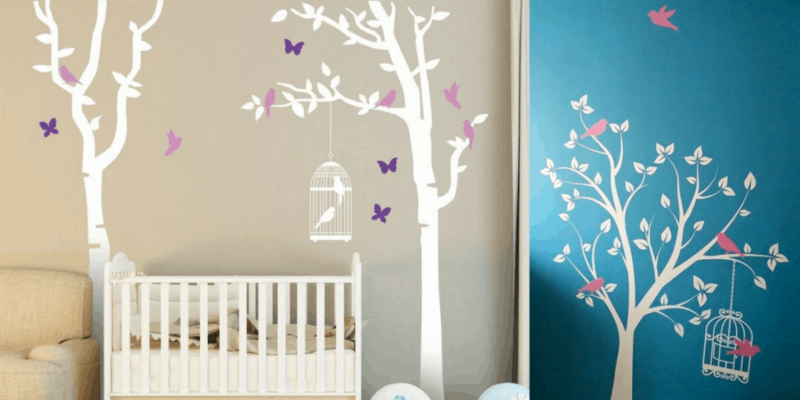 You can see her beautiful tree sticker on a teal wall in the featured image above. However, Biggest’s room still has the alphabet wall stickers that have been there since he was a baby. 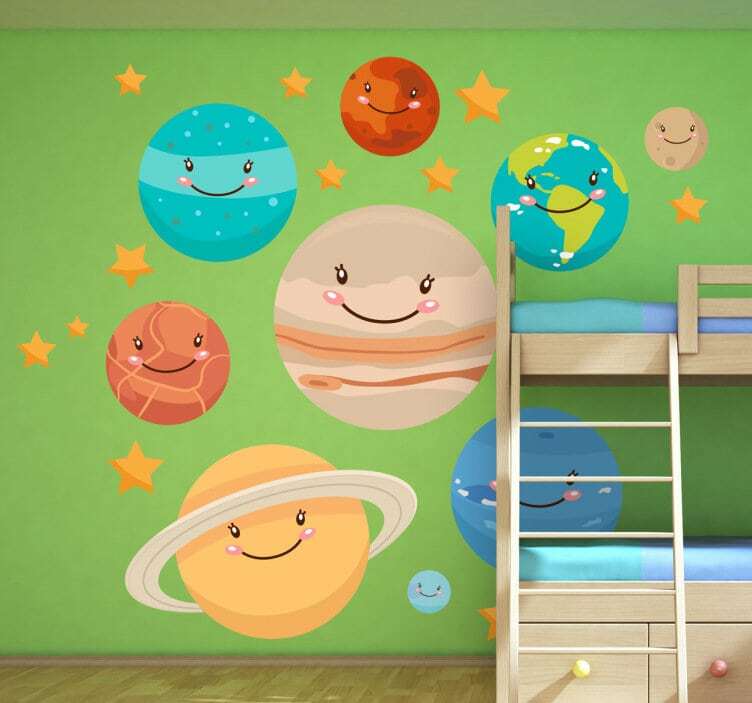 In the next few weeks we are looking to update his room and Tenstickers have a great range to choose from. As Biggest has autism, we have to be very careful when we implement big changes to his surroundings. Therefore, we have narrowed down our choice to five stickers and we will be showing him them and talking about them over the course of a few weeks before purchasing. Once he has picked a favourite, we will spend lots of time reminding him about what will happen before we begin. Here are our top five choices. Which one is your favourite? You don’t get much cooler than Star Wars and you don’t get much cooler than Lego. 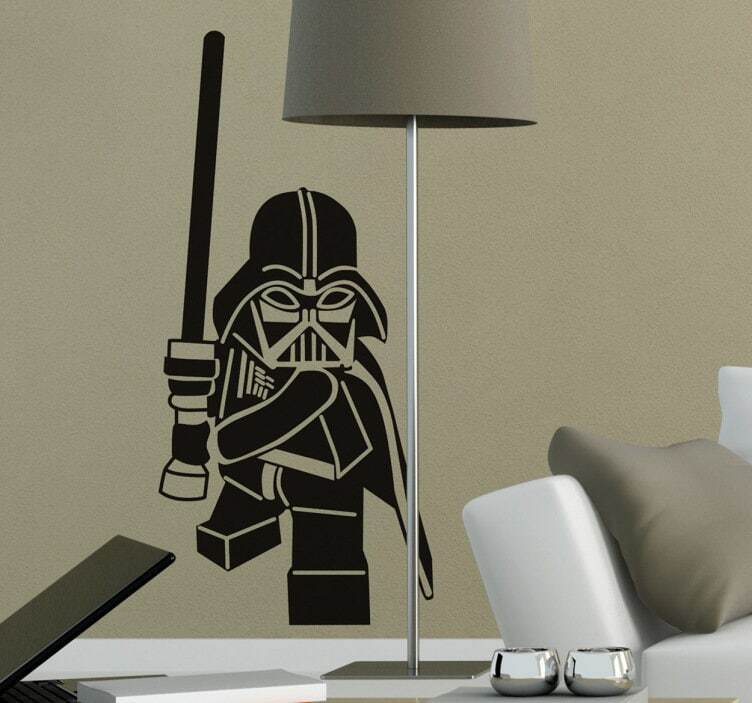 I am pretty sure that my husband would be only too pleased to have this sticker up in our room and his son has inherited his love of Star Wars, making this an obvious choice. Stars and planets really seem to capture Biggest’s imagination. His very favourite book is his Space Encyclopedia and he looks through it several times a day. I know he would be thrilled to look up at the planets while he is in bed! With this idea we have two options – a slightly more childish sticker which may be more fun and a classic option that may have more longevity. Disney’s Cars is by far Biggest’s favourite film. We watch it most days. I am sure this Cars logo would be a big hit. 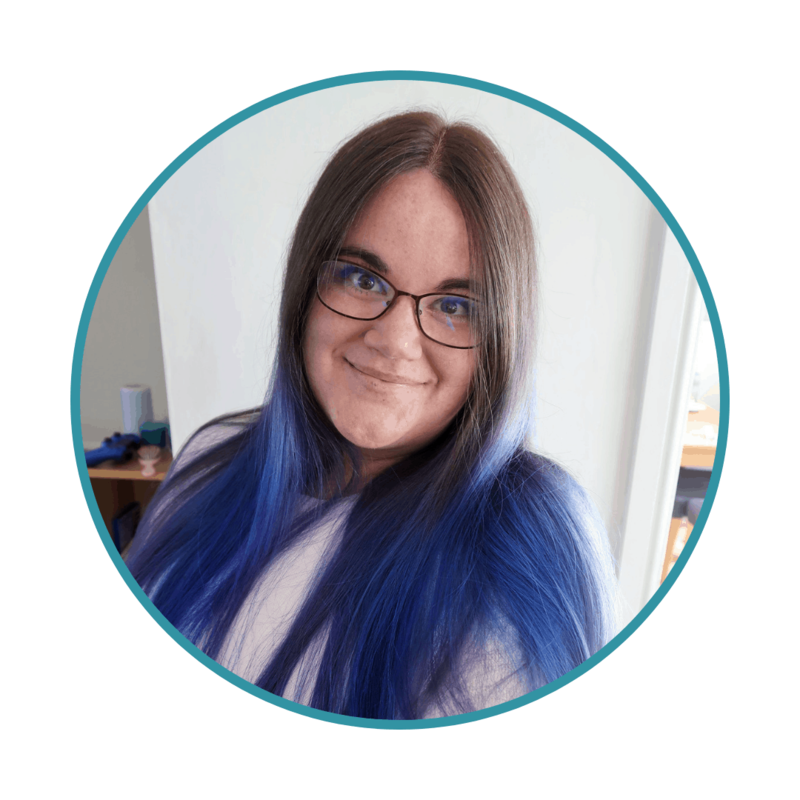 As a follow on from his love of planets, Biggest also loves to talk about the earth and the different continents and countries and where they are. Two of his favourite possessions are his blow up globe and his light up globe. This map of the world might also prove popular. So there we have it – our choices. Which is your favourite? These are gorgeous! They look really high quality too! They’re all so cool! I’d struggle to choose. 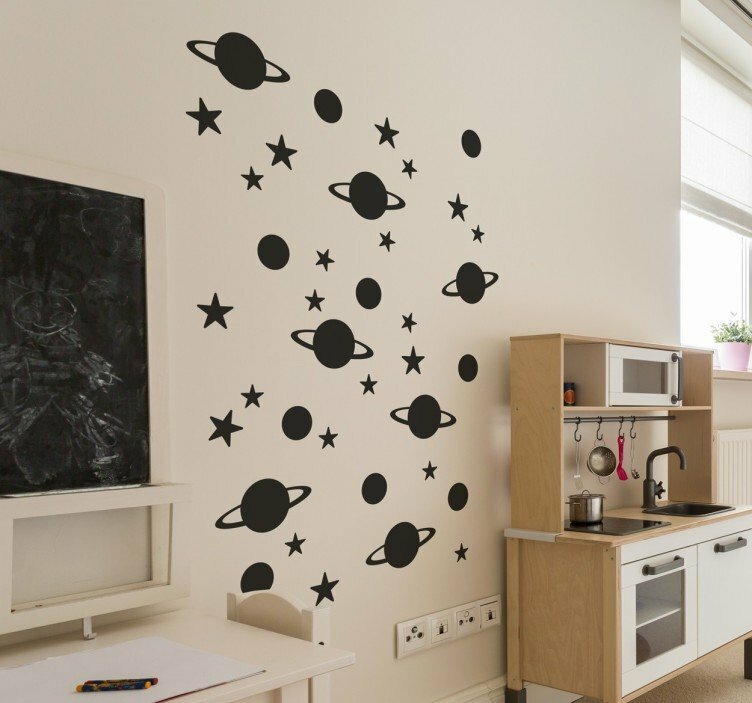 Wall stickers are a great idea for any age, but especially kids.